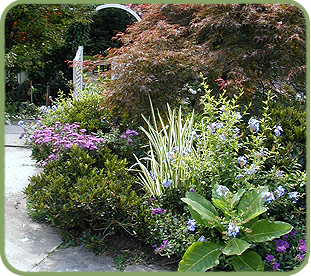 For over 30 years Past Designs has created attractive outdoor spaces for working, living and recreating, dedicated to protecting the environment, and preserving the rich landscape legacy that defines the Northeastern United States. The office is headed by Lucinda Brockway, an award-winning historic landscape specialist, residential landscape designer & author. Ms. Brockway does not believe in dominating the design process. Instead, she strongly believes that the most successful designs are built out of collaboration — between client, contractor, designer and resident. Our office recognizes that this philosophy includes all of these people, and a plethora of other small office personnel brought in for their special expertise on individual projects.